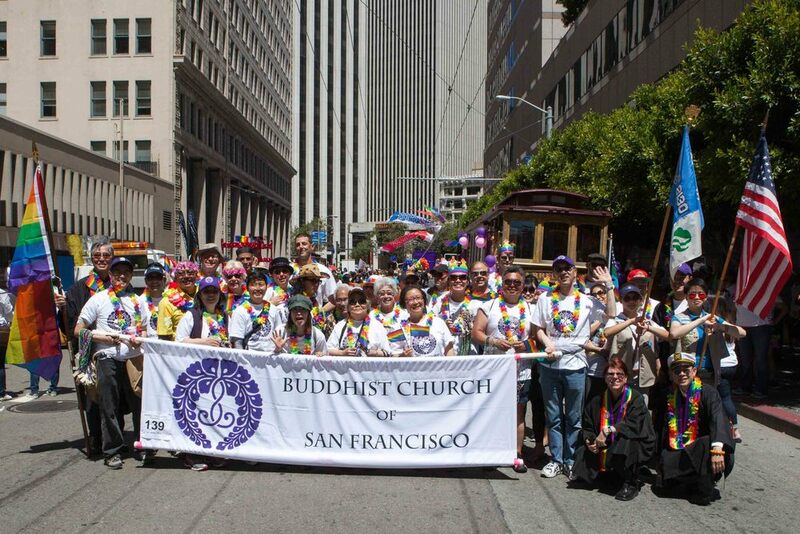 The Buddhist Church of San Francisco is a Buddhist temple founded in the Jodo Shinshu school of Pure Land Buddhism (Mahayana). It was established in Japantown in 1898 and initially served Japanese and Japanese Americans in the San Francisco Bay Area. Today, while continuing to honor its Japanese heritage, BCSF celebrates its welcoming spirit as a multi-ethnic, multicultural, and multi-generational community inspired by the teachings of Shinran Shonin. Please join us for one of our many services or events! Sunday April 21, 2019 -BCSF Contingent (all temple groups) in the 2019 Cherry Blossom Parade!